There are various ways to recognize a student’s excellent performance, such as to award free certificates for those deserving of it. 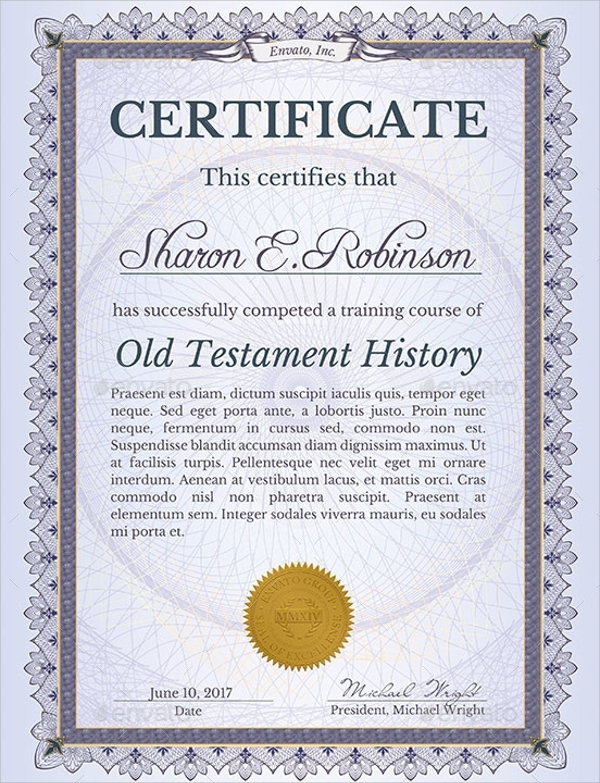 One example is a certificate of completion. 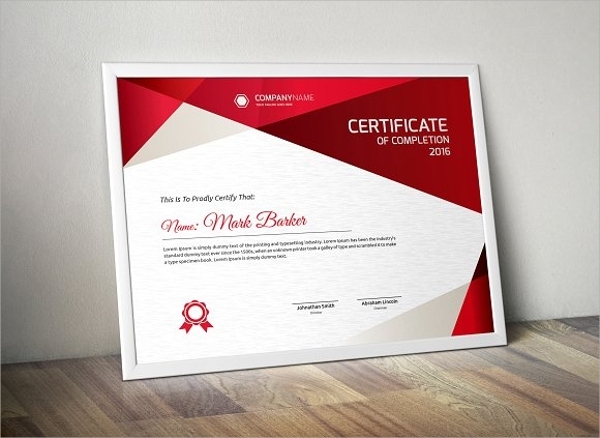 if you wish to use one but are clueless on how to make a certificate of completion, it’s best to follow the basic guidelines on designing an award certificate. 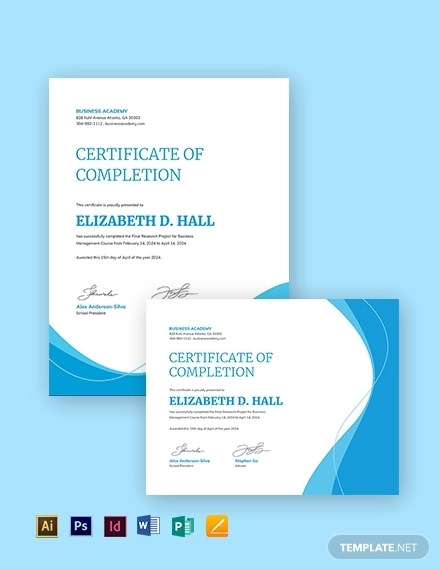 A course certificate of completion is just one of the common award certificate examples that indicate that an individual has successfully met the standard requirements of a course work. This means that you were able to attend the required percentage of classes and have submitted the necessary assignments. 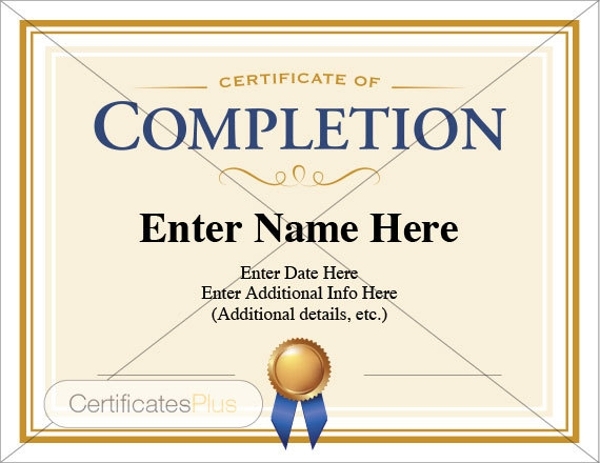 Why Is a Completion Certificate Important? For starters, an award certificate means you were able to accomplish something good. For instance, if you own certificate of completion then you must have undergone some sort of training over a period of time. 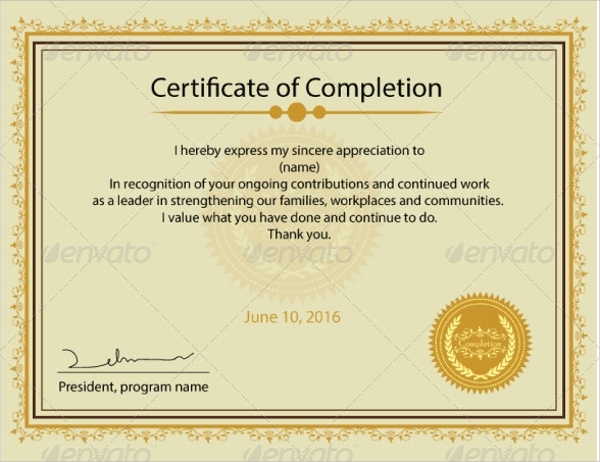 The certificate signifies that you have met the demands needed to complete the course. A piece of paper confirming an accomplishment might not seem like a big deal to some. But to others, this piece of recognition is considered to be a material representation of the fruit of their labor. 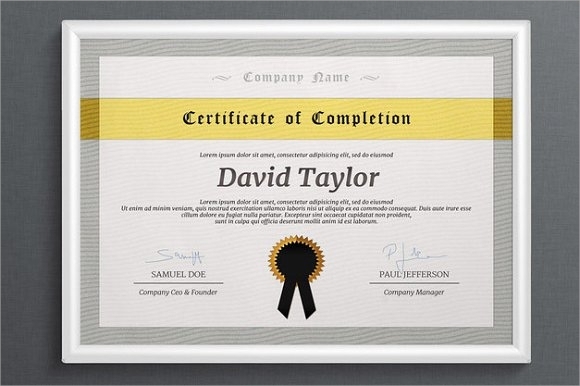 A completion certificate is a physical document that will also serve as your proof. In the world of construction, a modern certificate is an essential legal document that provides assurance that important standards have been assessed and that a building is qualified enough to operate. In a legal sense, this piece of document is compulsory and must be presented to avoid conflict. Furthermore, a certificate of completion may qualify you for a spot that you’ve been working tirelessly to earn. It could be a requirement for a job position or for an entrance to an educational institution. It’s important for one to be reminded that this certification examples in word may represent your credibility. 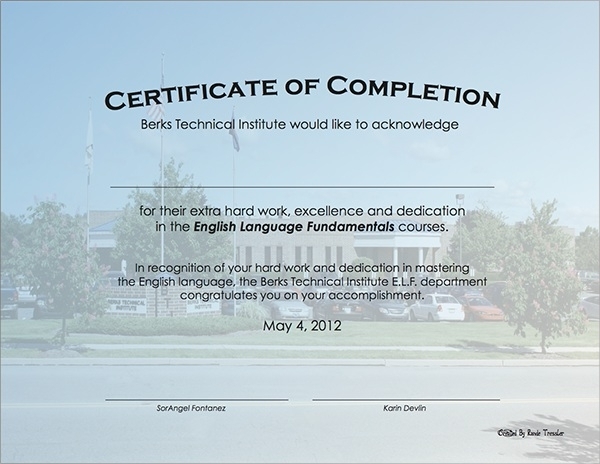 A certificate of completion is not an easy document to obtain. One must undergo a series of processes or training over a span of time. Not everyone can acquire such in a standard time frame as hard work and perseverance must be consistently exerted. 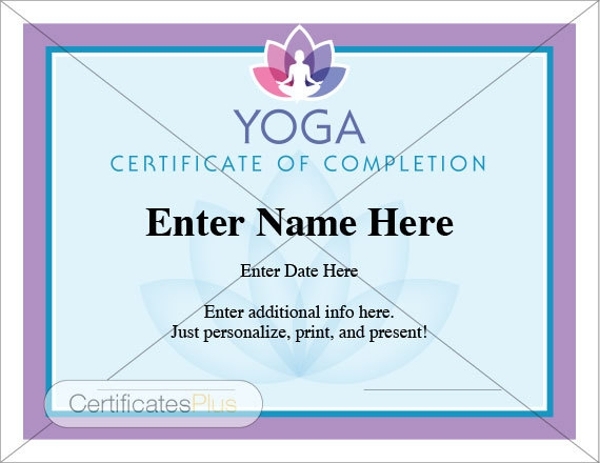 Completion certificates are often awarded only to those of satisfactory level. 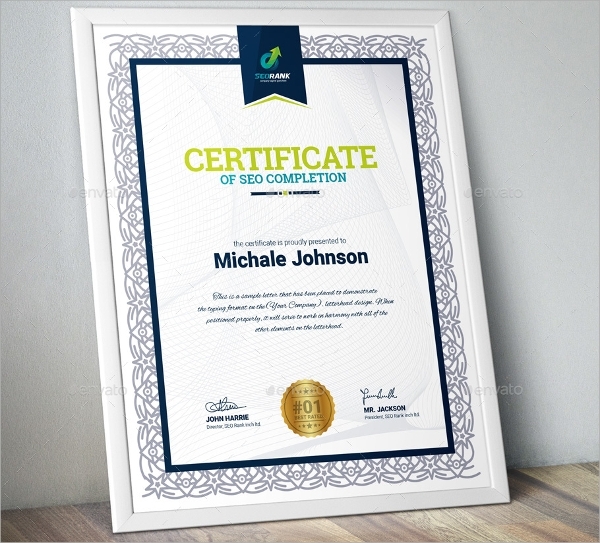 A standard certification template and example often emphasizes that the award is granted to a particular individual for successful completion and good performance. Naturally, you would not expect someone of mediocrity to receive a certificate of high regard. 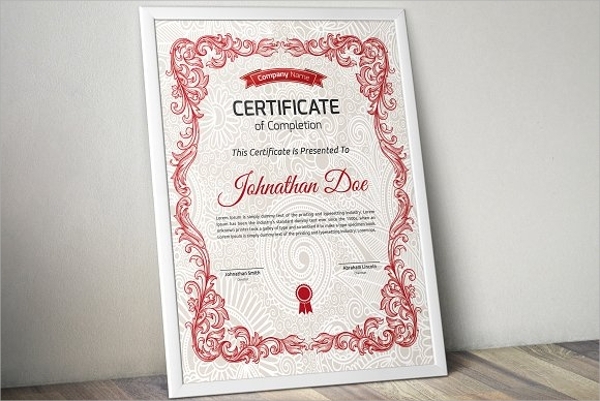 As a student, a completion certificate in pdf may only be obtained if you actually earn it. This means that there is no easy way out. You must be able to meet the standard requirements of the institution you are in. This is typically done through regular class attendances and project submissions. Keep in mind that slacking will only delay you. In construction, this would require visits to local government offices. This legal document can carry significant weight as it will help determine whether a building may begin operations. It involves an extensive process of site and material inspections.